Want Cheaper Car Hire in Perth Airport, WA? Compare lower cost SUV, MPV, Minivan, Ute & Estate Rental in Perth, Australia. Compare prices for car hire in all of Perth, as well as SUV, MPV and minivans. We work with with the following well known, reliable suppliers to bring you lower prices than what they publish:- Ace, East Coast, Europcar, Redspot, Sixt and Thrifty, to bring you discounted rates on their published prices. Lookout for Thrifty, as they include a free extra driver in their rates and Zero Excess on some vehicles. One ways are allowed but fees may apply depending on where in Australia you are going and how long you intend renting the car for. The fee will be included in the rental price and this is paid locally. 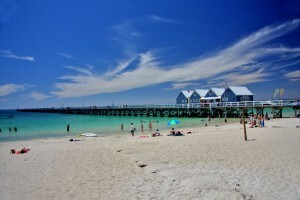 Hit the Perth beach with lower cost auto hire. Captivating driving in the outback with a Captiva. Rent a Commodore and adore! Great deals on renting an outback vehicle. Drive to the marina in a Holden Barina. The WA capital city and the main gateway to Western Australia, with its wild and vivid landscapes. It also has its very own barrier reef, Ningaloo Park, with coral beds stretching over 150 miles. 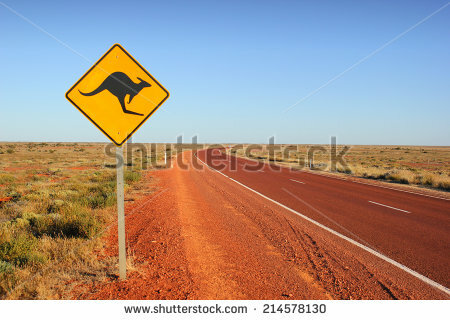 This is where most tours of Oz start from. Sydney is a vibrant, happening place with a reputation for fine dining, which in part is a result of its diverse ethnic background. It also has has the Sydney Opera House, next to the bridge and harbour. Take a walk over the bridge, and we mean up and over! A night out in The Rocks is highly recommended. Also, you can see such places as the Blue Mountains and Bondi Beach. The capital of South Australia and the ideal base for touring the wine regions of the Borossa Valley. Drive to the vineyards, that can be reached inside an hour from Adelaide. Enjoy a good lunch, or evening meal, in one of the many local restaurants. The sporting centre ofAustralia. It holds the annual horse racing event, the Melbourne Cup. It also hosts the ATP tennis Grand Slam tournament. The Grand Prix circuit visits every year. Test matches at the MCG are a must, as are the AFL matches that are played there. Oh, and I forget to mention the rugby, both union and league. Take The Great Ocean Road, which runs along the south coast with sixty six miles of eroded rock, known as the Twelve Apostles. If heading to the Great Barrier Reef, then this is the usual stopping off place. The capital of Australia and is a rugby town.